The premium range of bespoke aluminium clad windows Norfolk are stunningly designed. With an elegant flush casement, they’re guaranteed to bring a sophisticated style to any home. 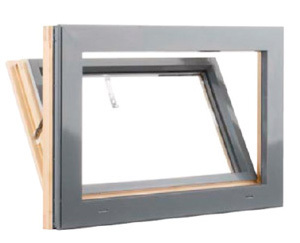 Aluminium Clad Windows supplies Bottom Hung Open In windows across Norfolk and Suffolk. For single or multi-storey buildings where cleaning and/or reglazing is to be carried out internally. Windows are secured by a concealed multipoint locking espagnolette bolt mechanism or in the case of high level/clerestory locations they can be manually or electrically remote operated. Concealed multipoint espagnolette locking provides superior closing tightness for weatherproofing and acoustic attenuation.